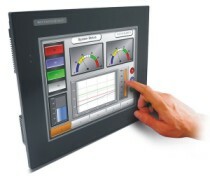 Bacharach IEQ Chek Indoor Environmental Quality Monitor for Carbon Dioxide (CO2) 0-10000ppm and Oxygen (O2) 0-25% vol. Pump. Plug-n-play smart sensors. LCD Display. SD flash card. Battery powered. ABS/Polycarbonate Housing. CE Mark Approved. Bacharach’s IEQ ChekTM is a versatile multi-sensor instrument for measuring, monitoring and recording indoor environments for air quality diagnosis. With its 7-sensor capacity, the new IEQ ChekTM measures temperature, relative humidity, and up to 5 additional plug-and-play ‘smart’ sensors, including carbon dioxide (CO 2 ), carbon monoxide (CO), oxygen (O 2 ), formaldehyde (HCHO), total volatile organic compounds (TVOCs), nitrogen dioxide (NO 2 ), sulfur dioxide (SO 2 ), ammonia (NH 3 ), hydrogen sulfide (H 2 S) and combustible gases. Available with or without an on-board pump for sampling the air, the IEQ ChekTM has a large multi-line backlit LCD display with simultaneous viewing of all installed sensors, battery life, pump indicator and calibration status. Sophisticated, yet simple to use, the instrument has the capability to record and store over one million data points on a SD flash card with the option to download the data via USB connection to a PC using Bacharach’s IQTM Chek software. Bacharach’s IEQ ChekTM line offers maximum features, flexibility and functionality for indoor environmental quality monitoring, HVAC measurements, ASHRAE/ANSI compliance, process operations in non-hazardous environments and medical/lab applications. The IEQ ChekTM is an ideal tool for identifying energy saving opportunities in over-ventilated spaces, determining if carbon dioxide (CO 2 ) build-up is due to insufficient ventilation, pinpointing the presence of carbon monoxide generated from vehicles or appliances, and measuring other air contaminants such as formaldehyde or volatile organic compounds found in paints, chemicals or cleaning products. > MONITORS > CARBON DIOXIDE+O2 : 2 Items found. 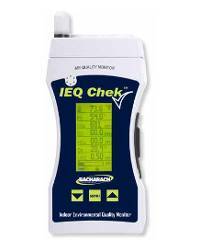 Bacharach IEQ Chek Indoor Environmental Quality Monitor for Carbon Dioxide (CO2) 0-100% and Oxygen (O2) 0-25% vol. Pump. Plug-n-play smart sensors. LCD Display. SD flash card. Battery powered. ABS/Polycarbonate Housing. CE Mark Approved. Bacharach IEQ Chek Indoor Environmental Quality Monitor for Carbon Dioxide (CO2) 0-20% and Oxygen (O2) 0-25% vol. Pump. Optional Datalogging Version. Plug-n-play smart sensors. LCD Display. SD flash card. Battery powered. ABS/Polycarbonate Housing. CE Mark Approved.